The Yotaphone 2 is an Android smartphone with a 5" AMOLED screen on the front and a 4.7" E-ink screen on the back. It launched in Europe a couple months ago, and just last week it showed up at the FCC. 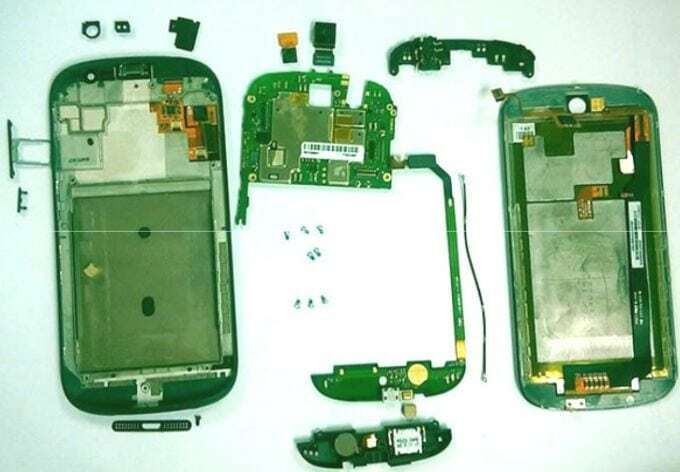 In addition to the double screens, this two of a kind smartphone sports all of the usual innards, including circuit boards and the hopes and dreams of its creators. The Yotaphone 2 runs Android on a Qualcomm Snapdragon 800 CPU with 2GB RAM, 32GB internal storage, and a 2.5Ah battery. This phone also has Wifi, Bluetooth, a pair of cameras (8MP and 2.1MP), an accelerometer, and more. The 5" AMOLED screen has a resolution of 1920 x 1080, while the 4.7" E-ink screen has a resolution of 960 x 540. The Yotaphone 2 launched in Europe and Russia last month with a retail price that would take your breath away. It is expected to launch in the US later this year, although Yota Devices has not set a specific launch date.